You'll no longer have to coil with this foil! These large Gold Foil 8 3/8 x 11 Envelopes are perfect for those larger sized papers that you don't want to fold or crease, get ruined or ruin your chances of getting that job, getting that A, or getting that promotion. Show these shiny Gold Foil Envelopes off and you'll certainly be remembered by your interviewer, your teacher, your boss, whoever! Don't let the shine and elegance of these Gold 8.375 x 11 Envelopes fool you! With a protective self adhesive closure you can count on these envelopes to keep your content safe and secure. Keep these on hand for storage around the office and work space, or use them for sending out important documents. 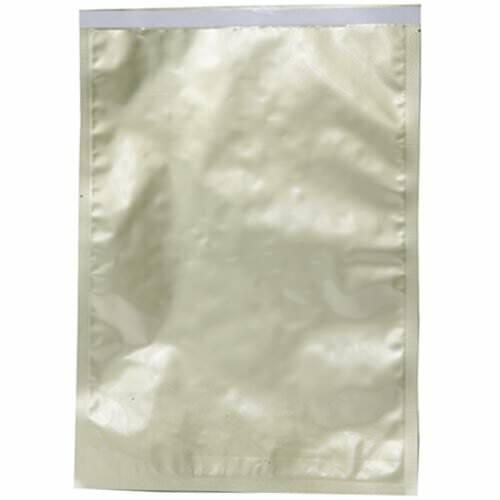 Gold Open End Foil Envelopes measure in at 8 3/8 x 11 and feature a self adhesive peel and seal closure. An open end envelope opens on the short end of the envelope so that your documents are always safe and will never fall out!